MLS# 1043362 - 4048 James St, Bellingham, WA 98226 - Mark Frye — RE/MAX Whatcom County Inc. Listing courtesy of Premier Properties NW. There are two parcels/lots-of-record (8.2 acres & 5.21 acres). Approximate buildable area is 3.2 acres w/o mitigation, part being on the East side, part on the West side. 2 houses/2 parcels, 28 to 40 units possible ( addtnl requires fee to city). No height restriction. 4040 & 4048 Bakerview. Highly variable zoning allows for many options & lot layouts: SFR, MF, Church, – half page of allowed uses. Call broker for details/delineation/plat. Directions: I-5 to Sunset exit, East on Sunset to 1st light, North onto James St (around Sunset Mall) Continue on James to SE corner of James & Bakerview. 2 Parcels, 2 houses, large lots, many configurations. 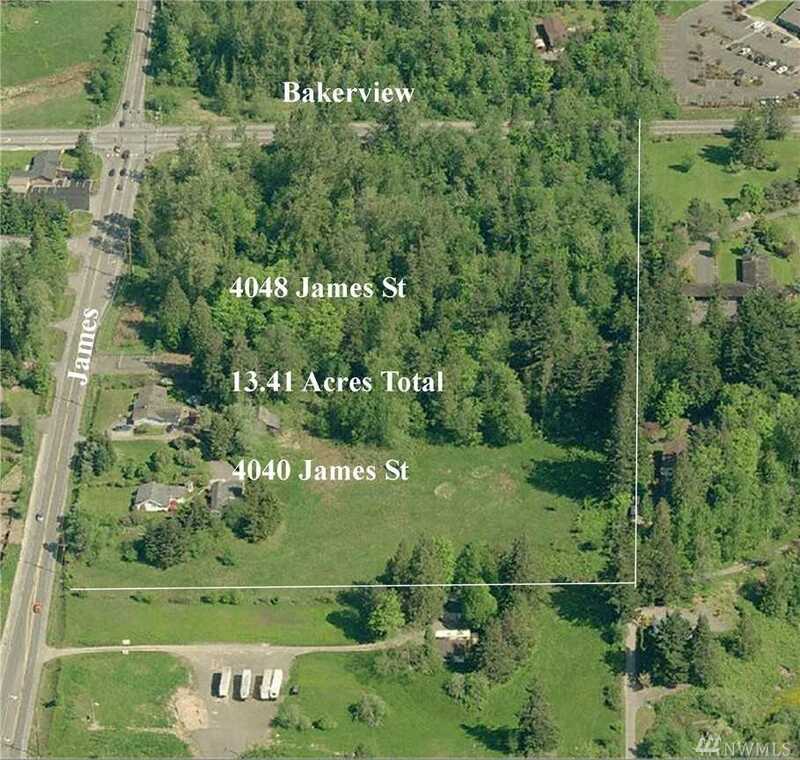 Please, send me more information on this property: MLS# 1043362 – $1,000,000 – 4048 James St, Bellingham, WA 98226. I would like to schedule a private showing for this property: MLS# 1043362 – $1,000,000 – 4048 James St, Bellingham, WA 98226.